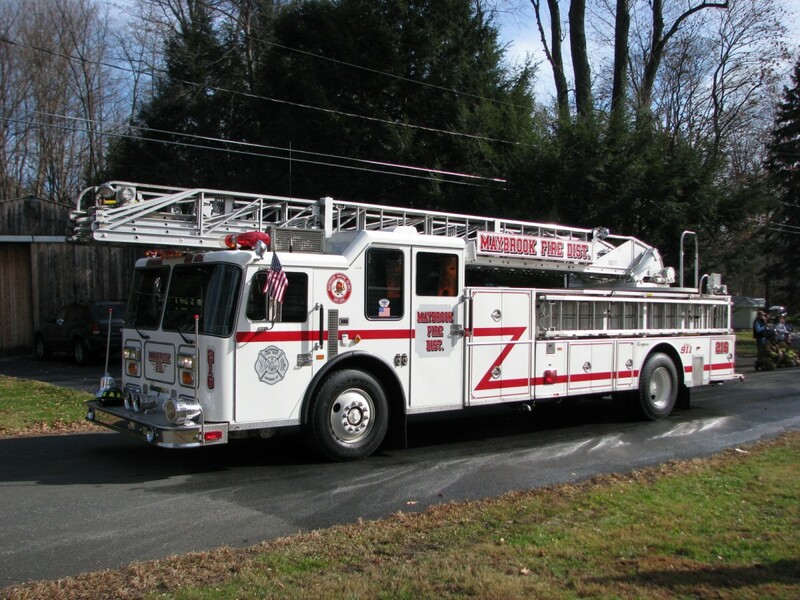 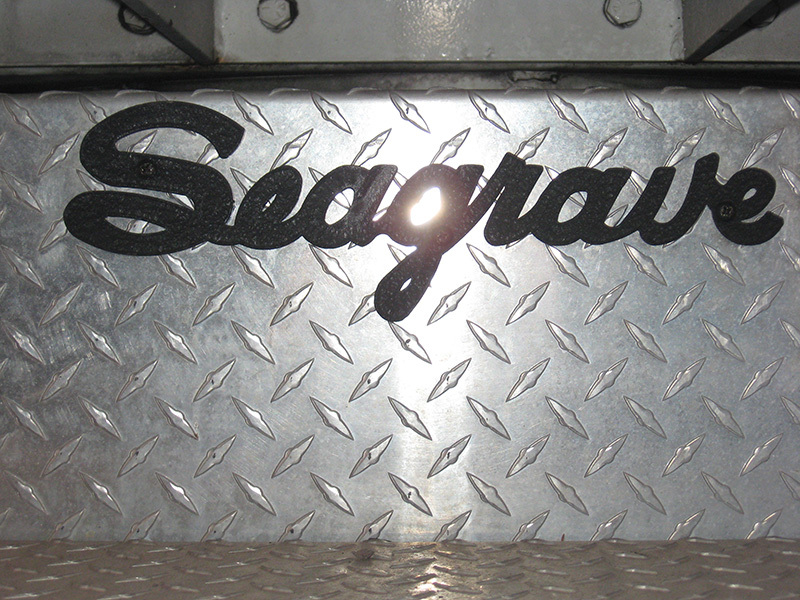 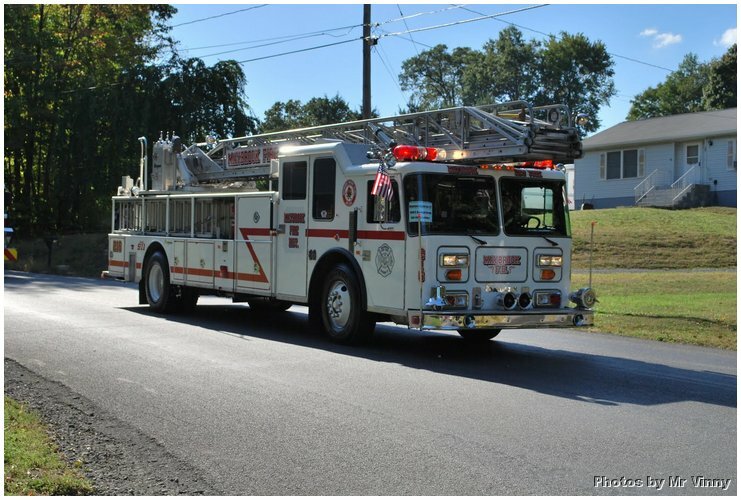 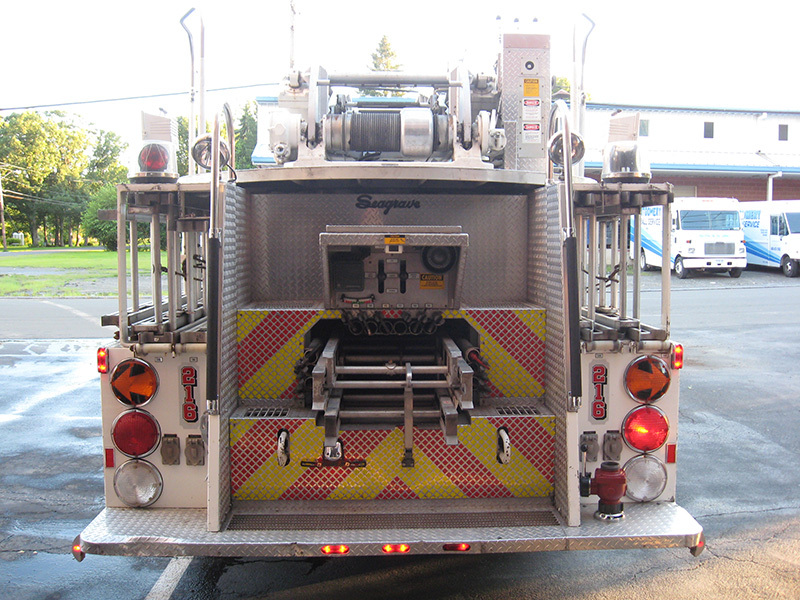 T-216 is a 1991 Seagrave 100' low profile NY city spec. 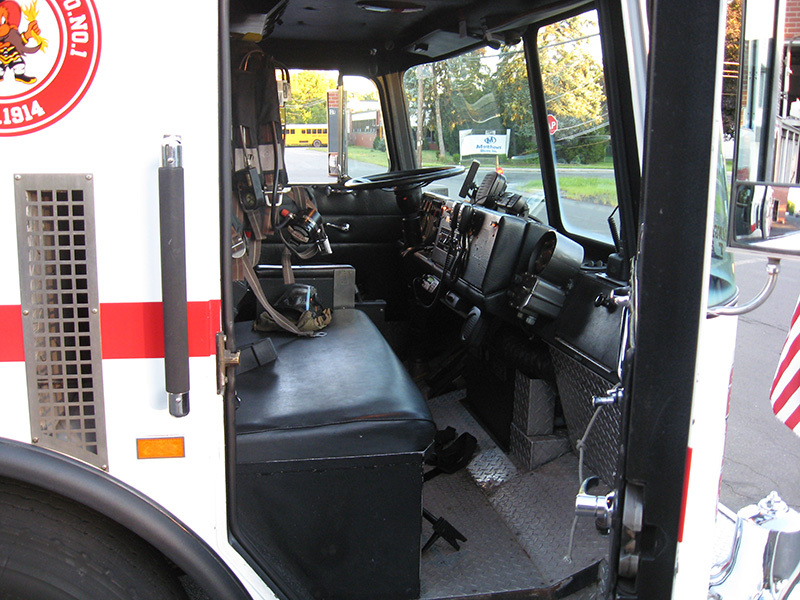 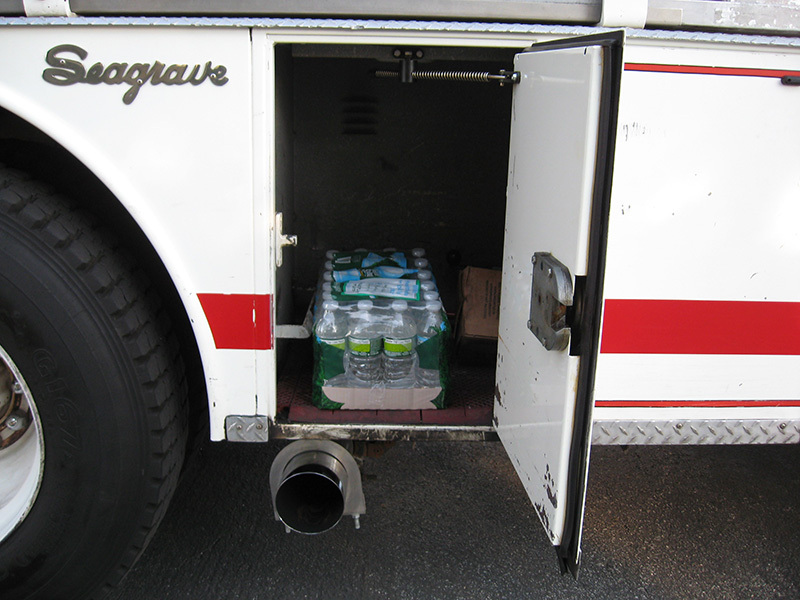 This apparatus was purchased from Lynbrook Fire Dept., NY. 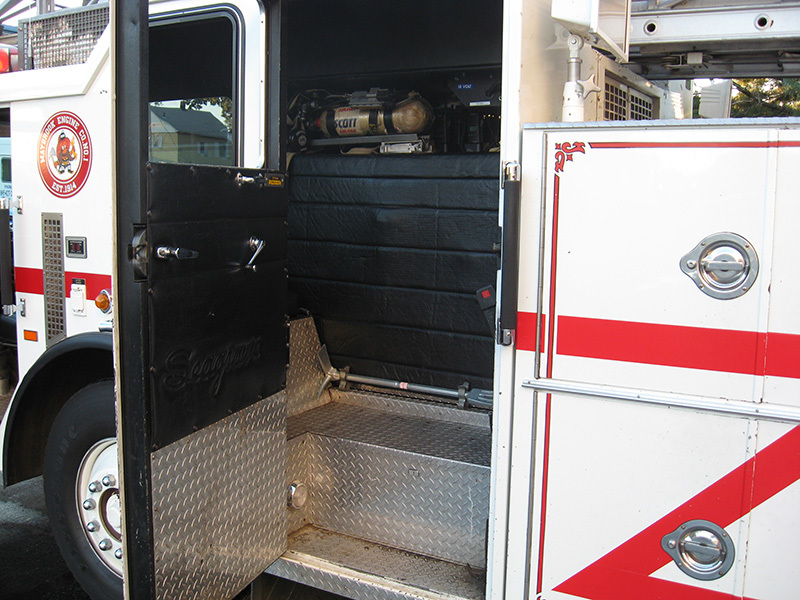 This unit has seating for 7. 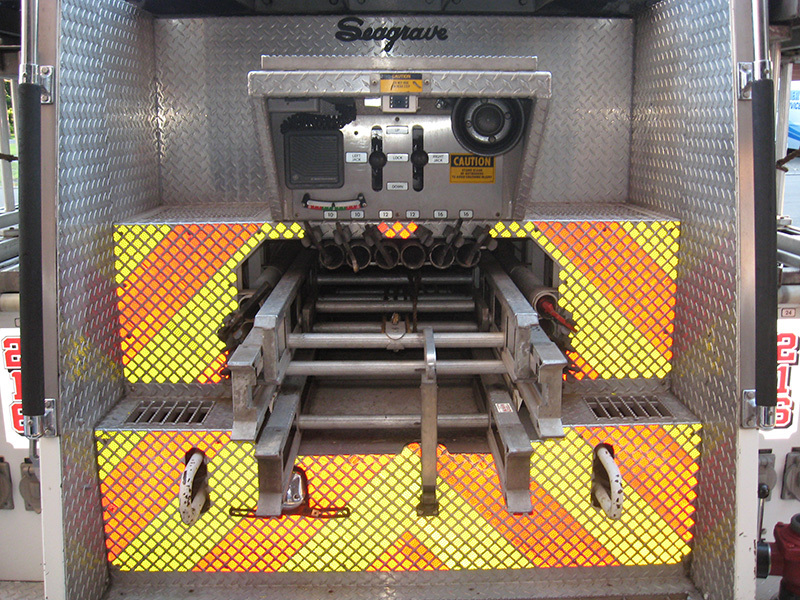 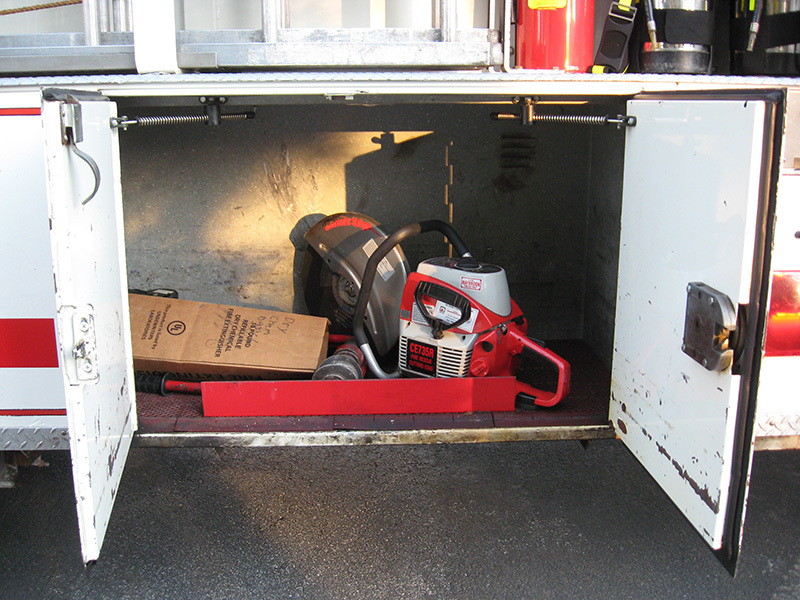 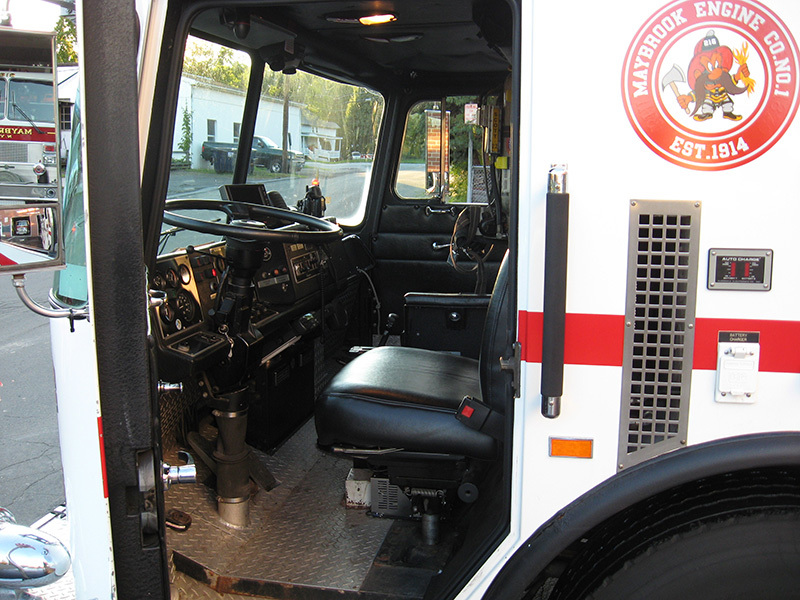 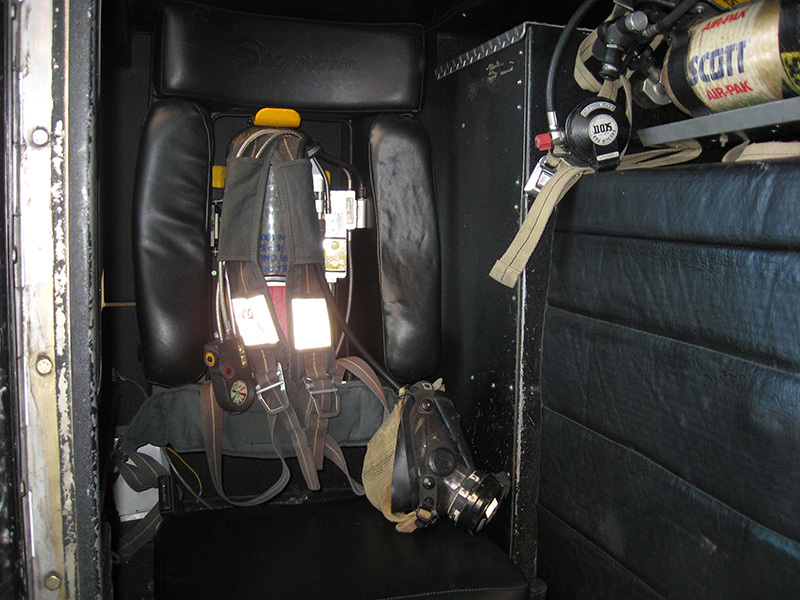 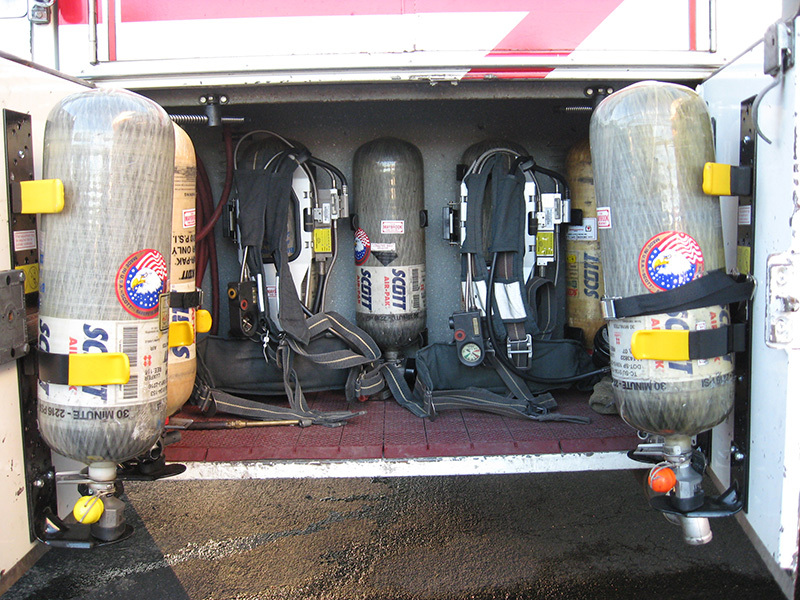 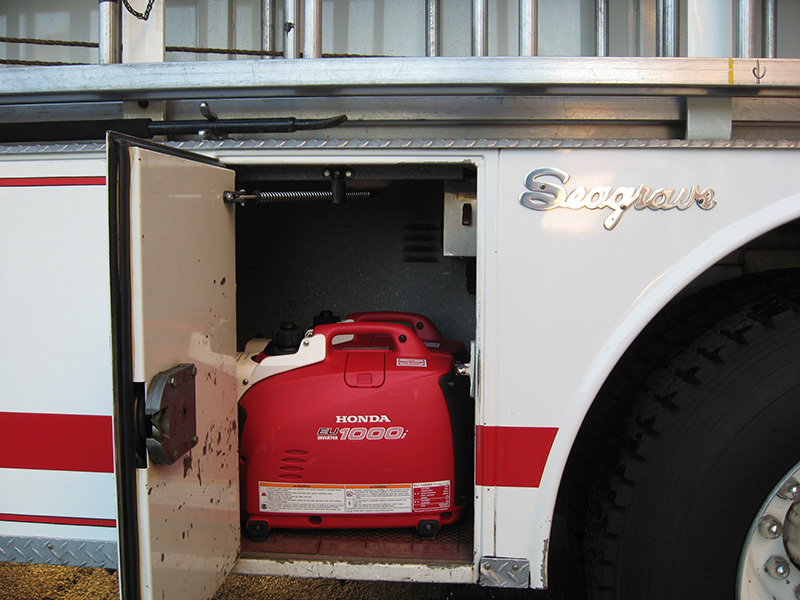 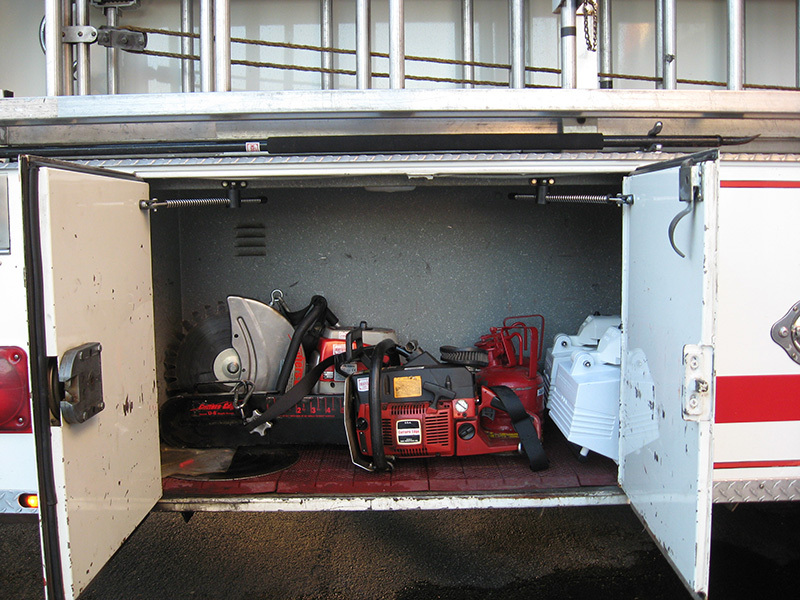 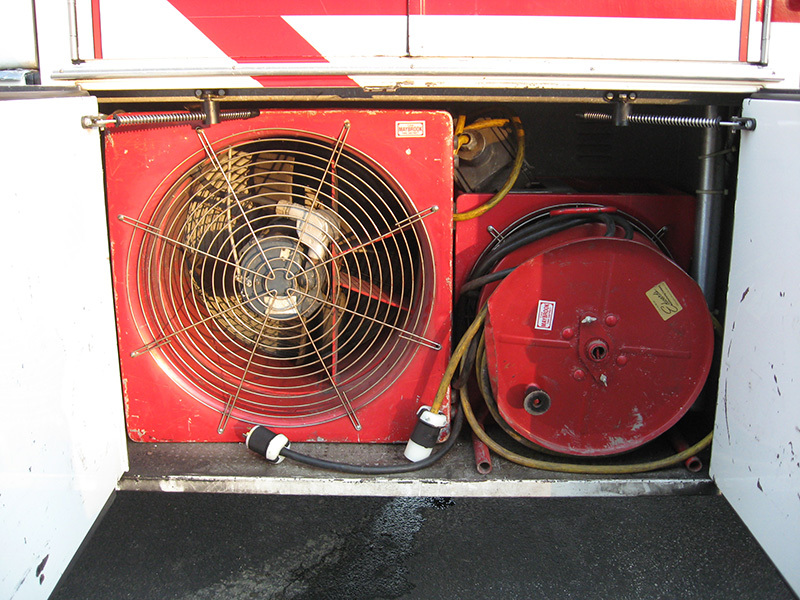 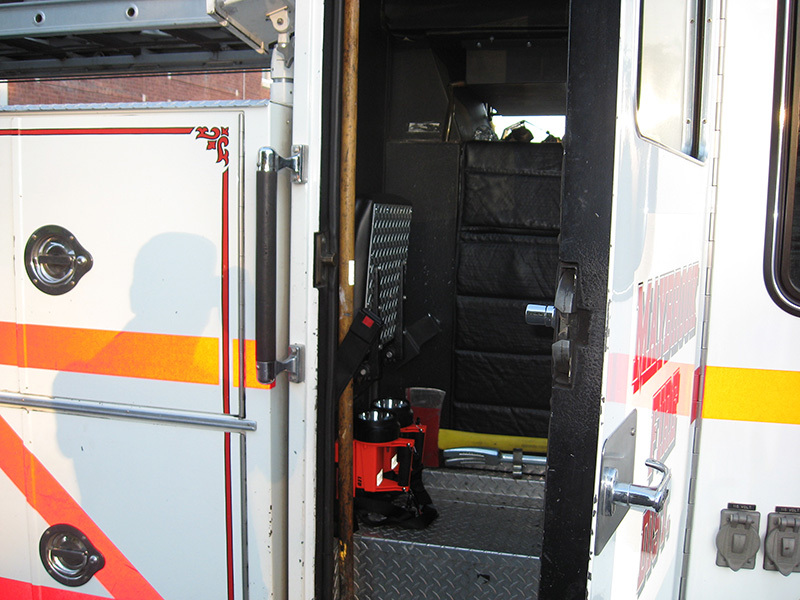 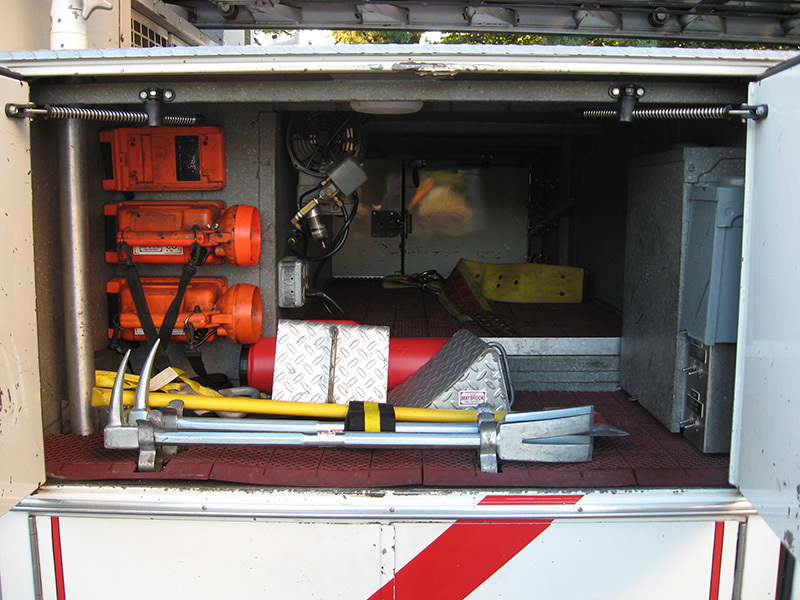 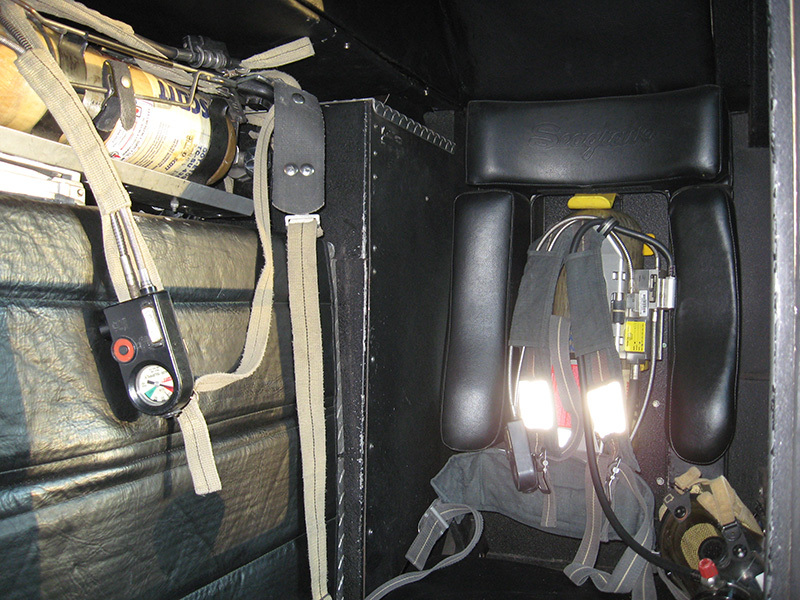 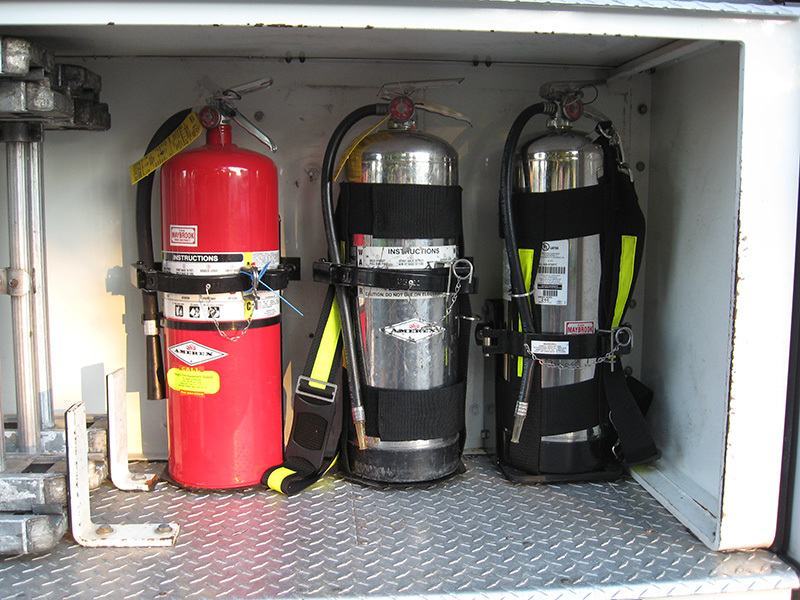 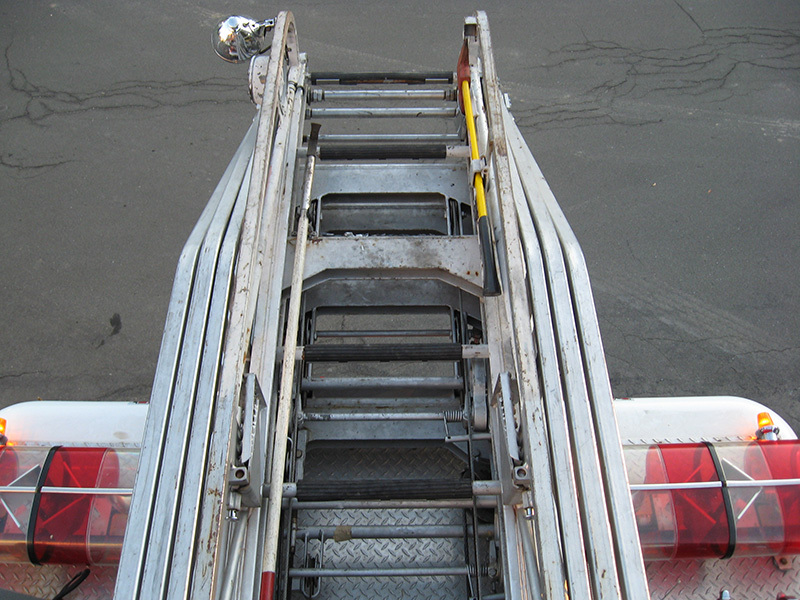 It carries multiple types of saws for ventilation and forcible entry. 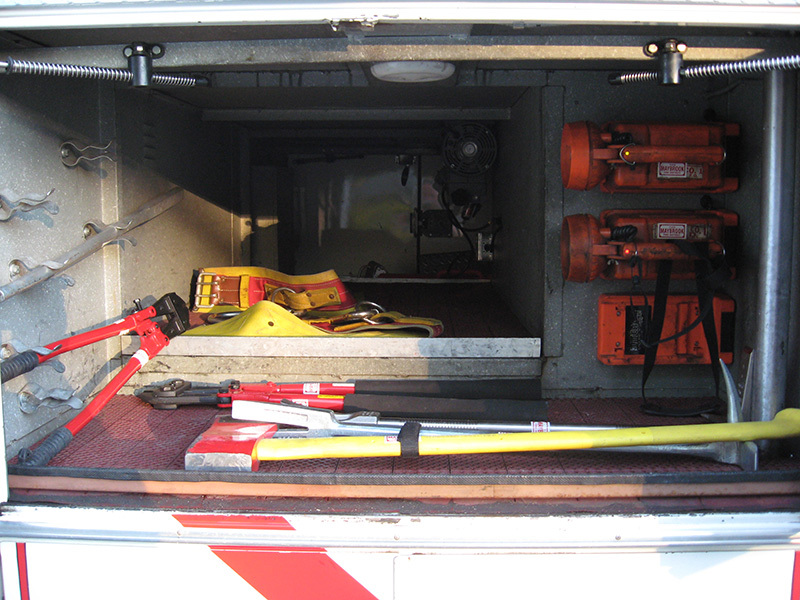 it has an assortment of ladders and pike poles. 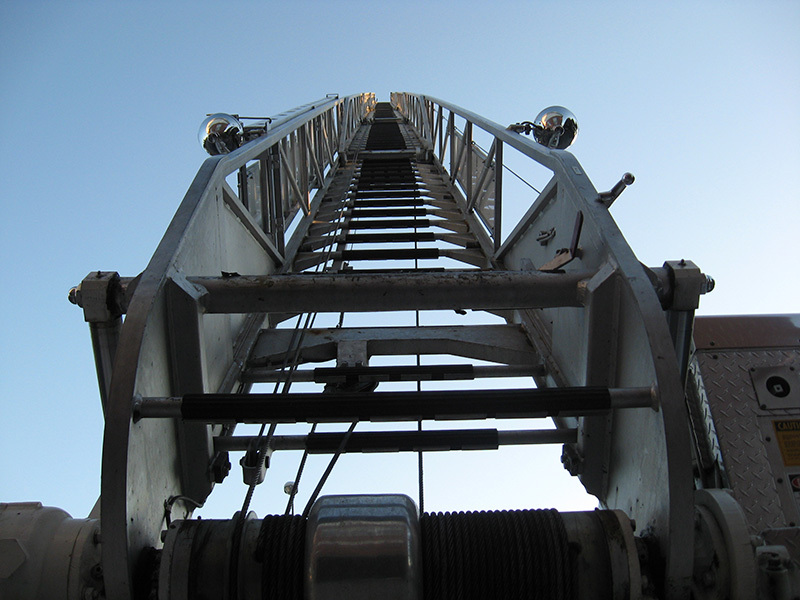 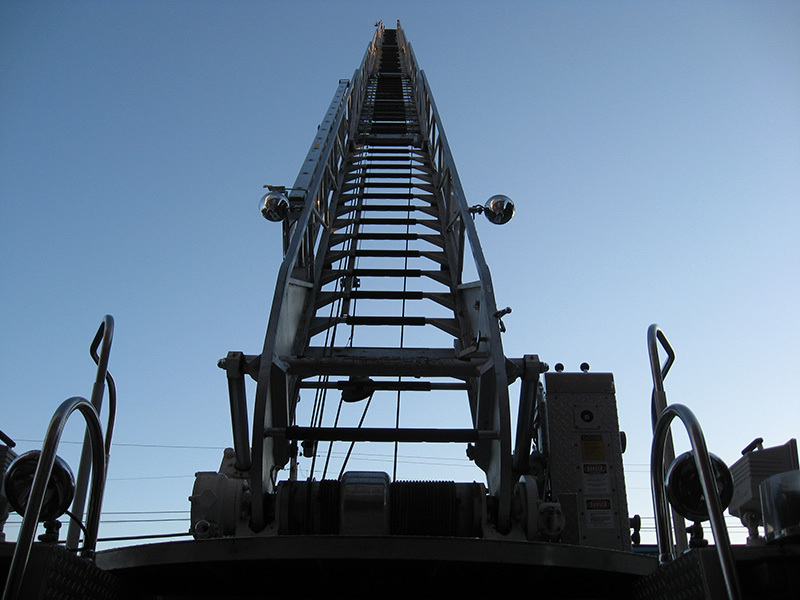 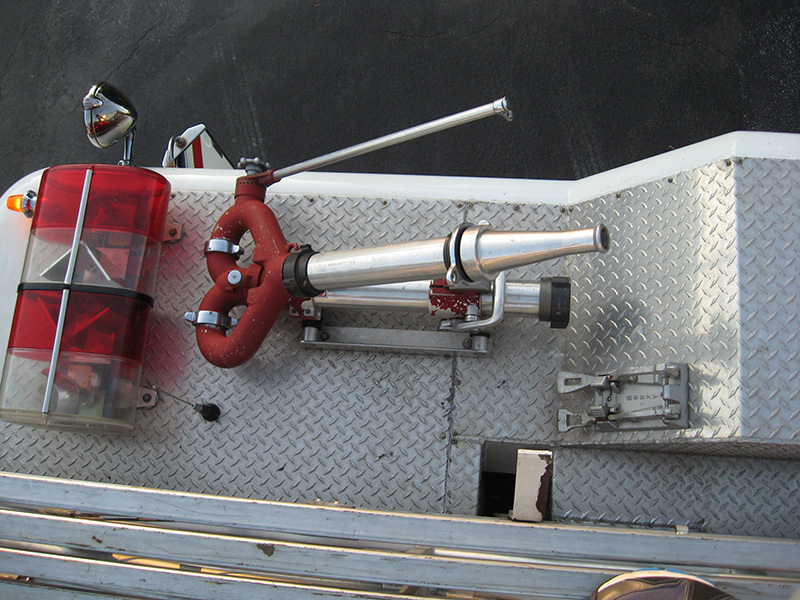 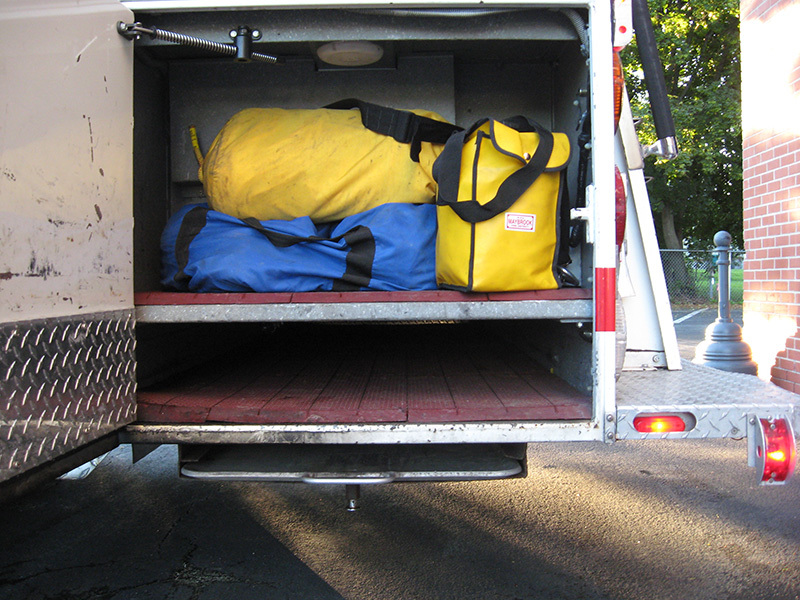 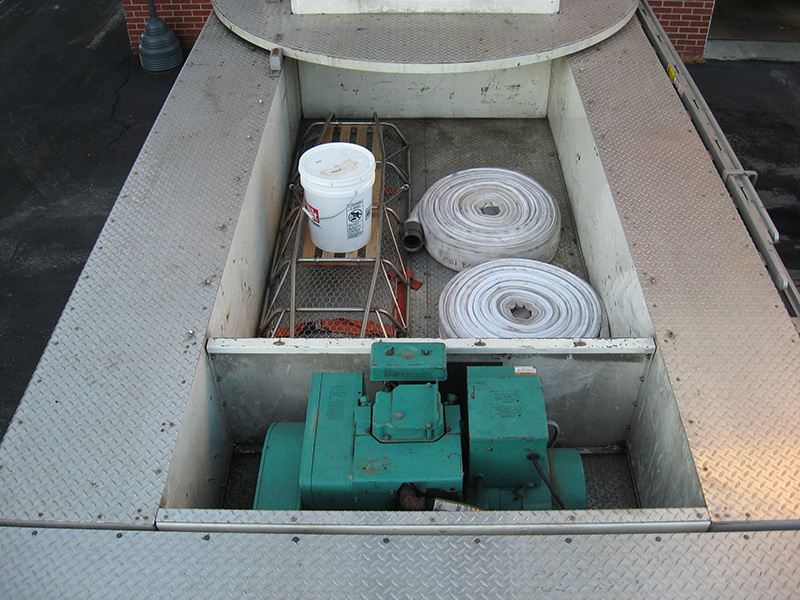 It has a removable master stream which mounts to the tip of the ladder and 200' of 3" hose to supply it. 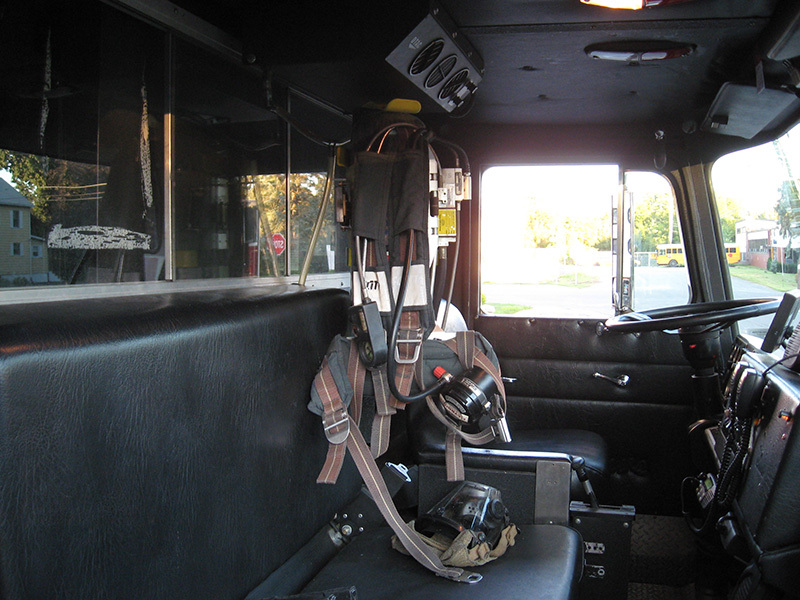 It also has various ropes for searching and rescue operations. 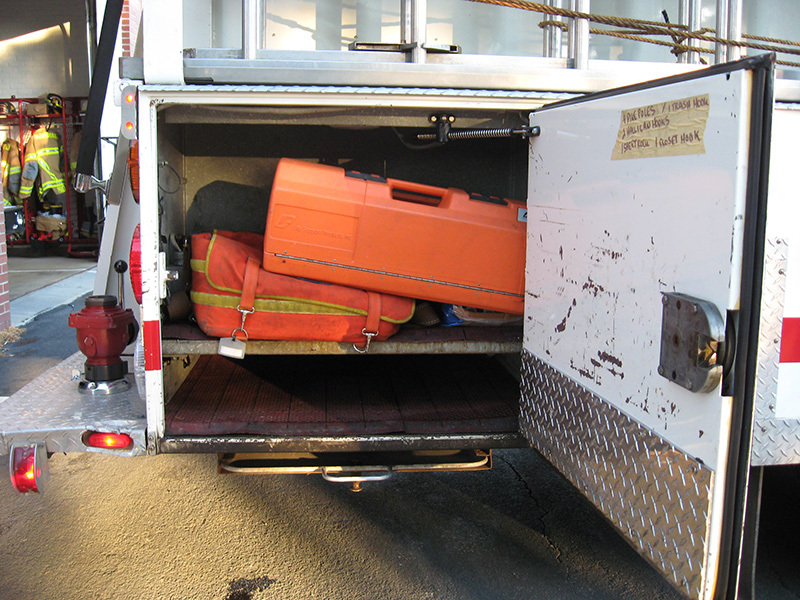 Also a Stokes basket for victim removal. 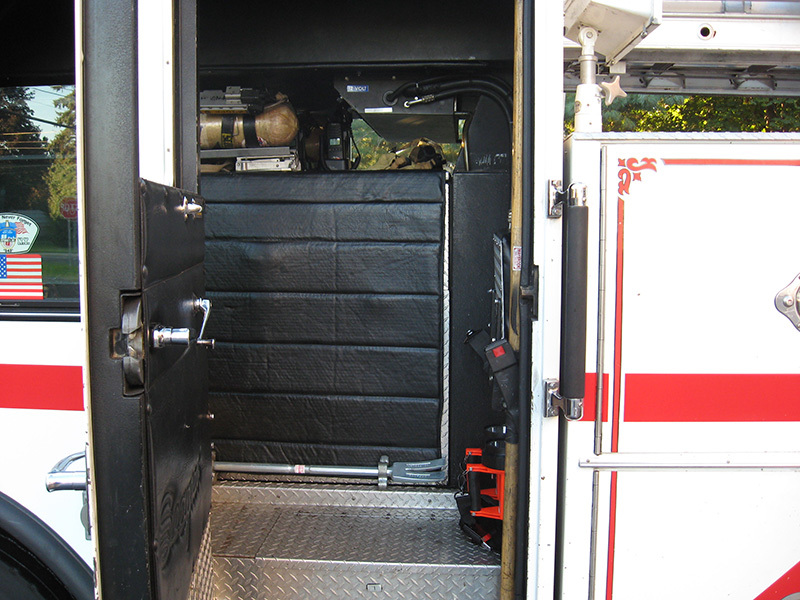 This truck is currently set up for our F.A.S.T. 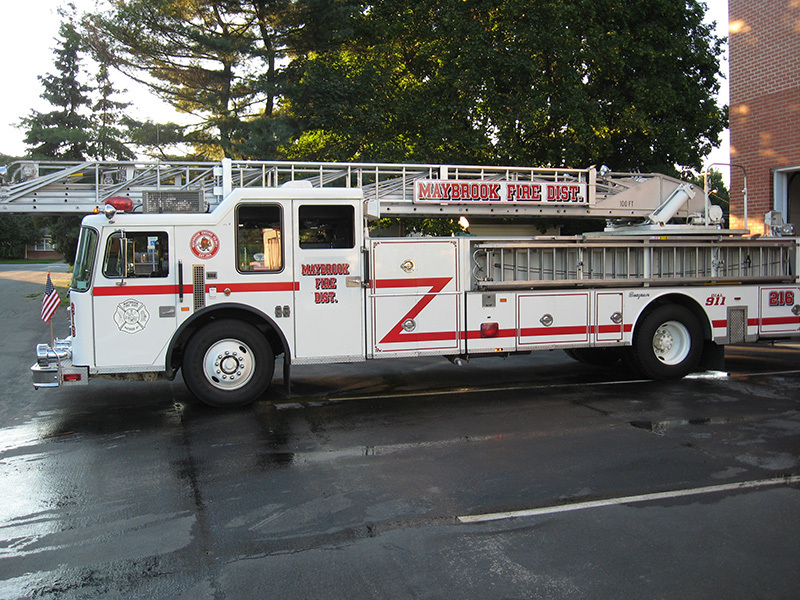 Team which will go mutual aid to neighboring towns. 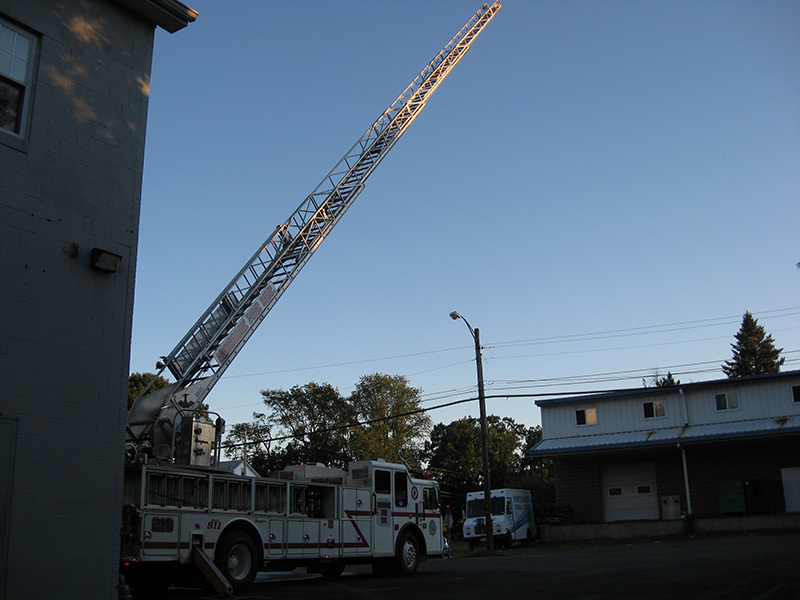 This truck is the first ladder truck this department has ever had in it's arsenal of fire apparatus.